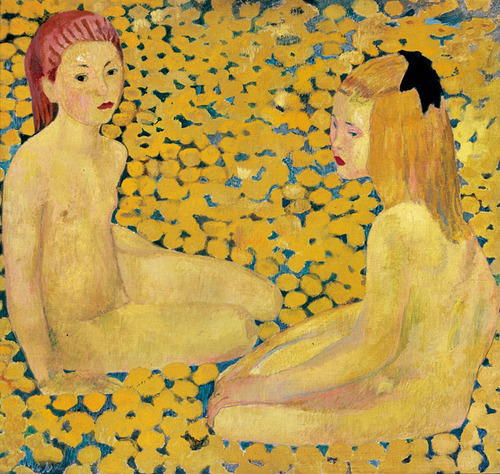 Cuno Amiet (1868-1961) was a Swiss painter, illustrator, and sculptor, and an important figure in the development of modern art in Switzerland. 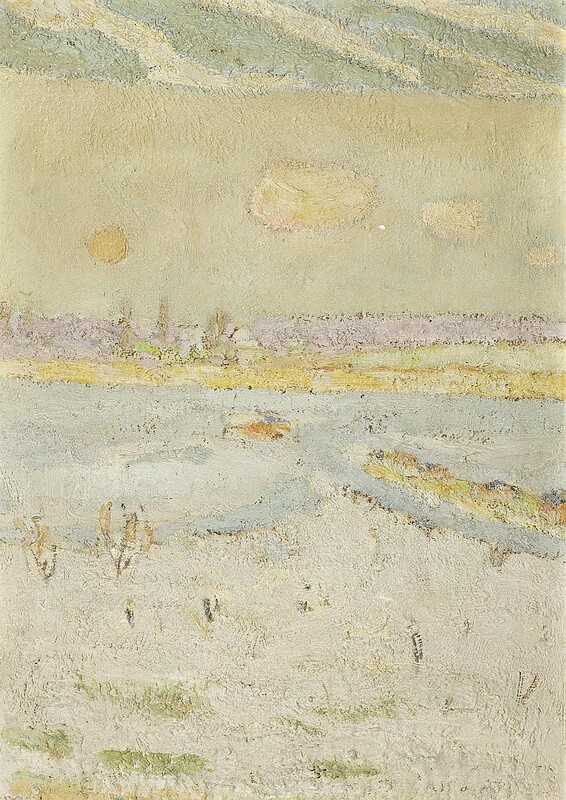 Born in Solothurn in Northern Switzerland, Amiet attended the Academy of Fine Arts Munich and the Académie Julian in Paris. 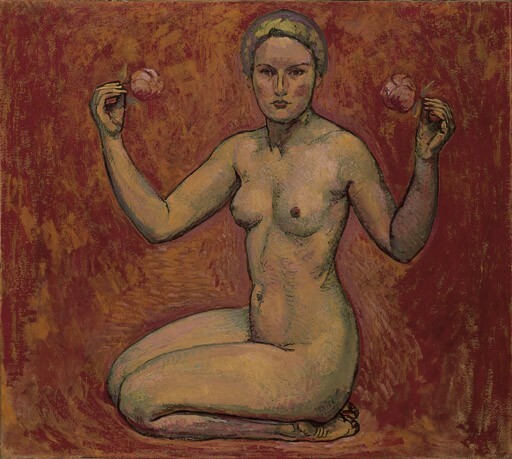 Amiet wanted to move beyond academic painting and joined the Pont-Aven School, which included artists like Paul Gauguin and Émile Bernard. 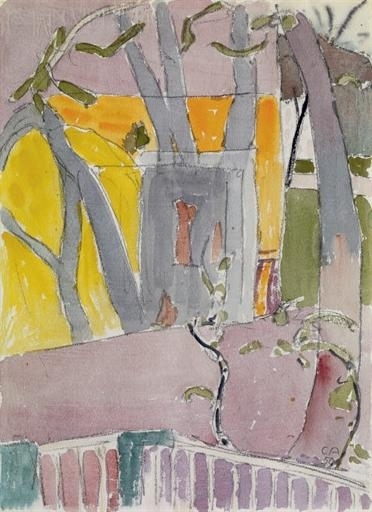 In 1893 he returned to Switzerland and set up his own studio; his first exhibition in Basel was well received. 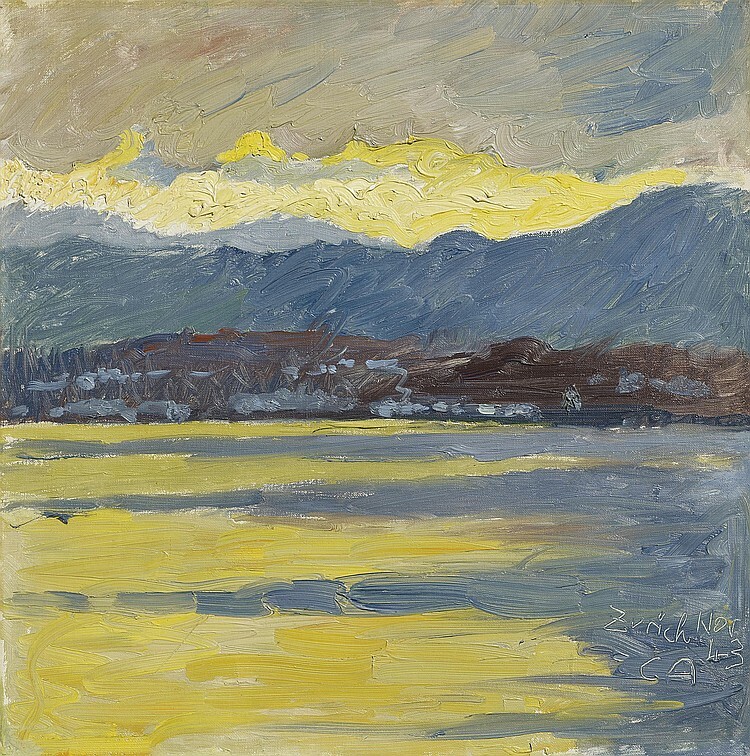 Amiet was entirely devoted to the pure color of a painting to express its tone, the primary innovation that he brought to Swiss modern art. 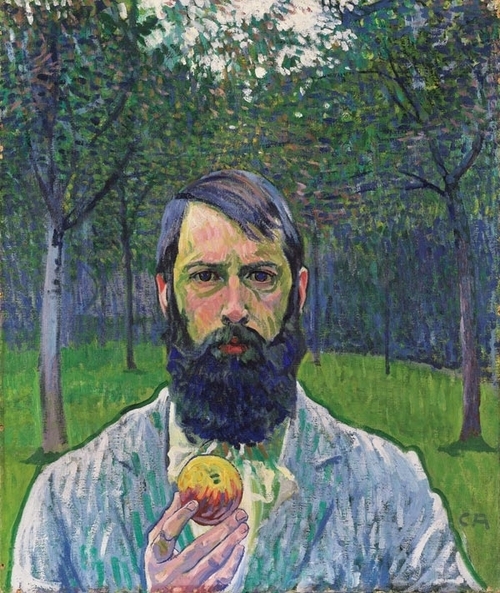 Amiet produced more than 4,000 paintings, over 1,000 of which are self-portraits. 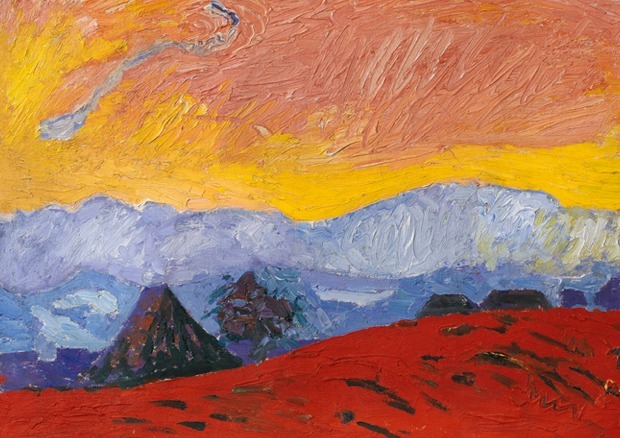 Although he had a long and diverse career, the primacy of color as an emotive force remains constant. 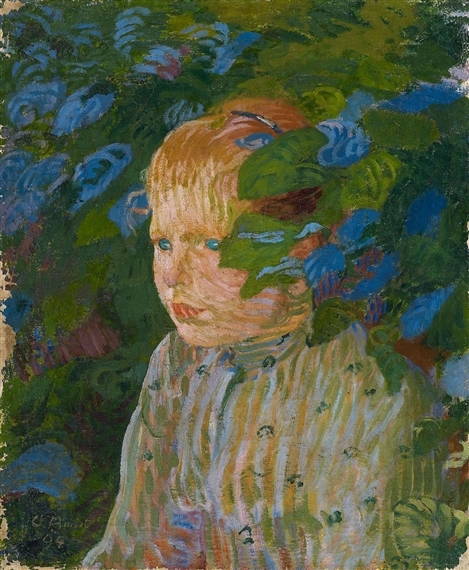 Whether in landscape, or portrait, or something in between, it is clear that Amiet saw the world through the rich power of its many colors. 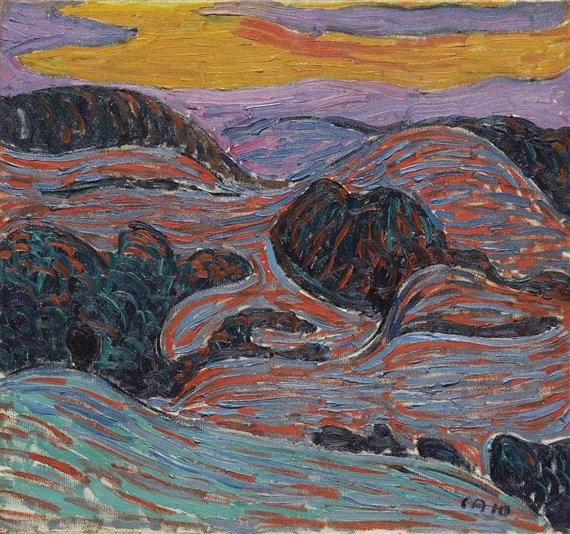 In Moonlit Landscape, the color seems to explode out of the ground, with the purplish-blue ground radiating into the sky. 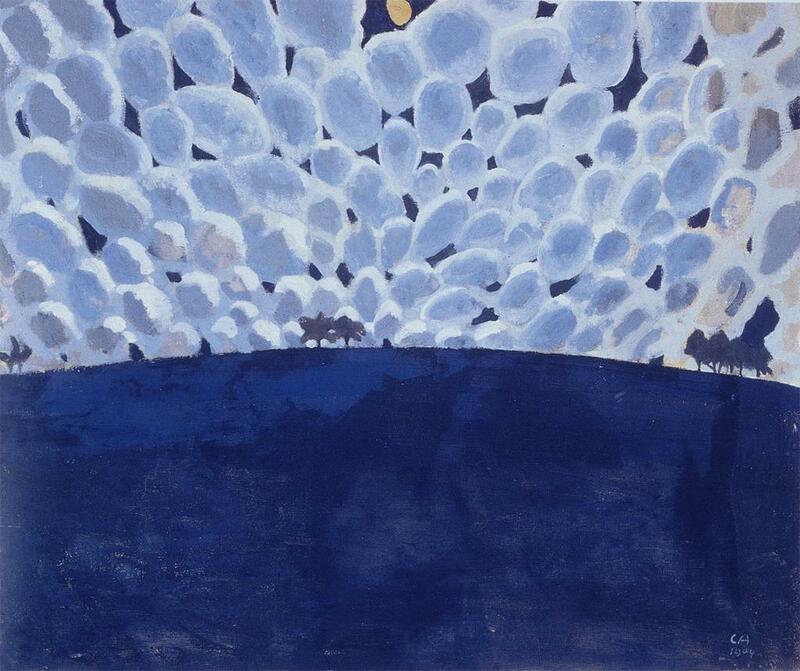 the use of these many round shapes (clouds perhaps) populating the sky gives the painting a supernatural feel. 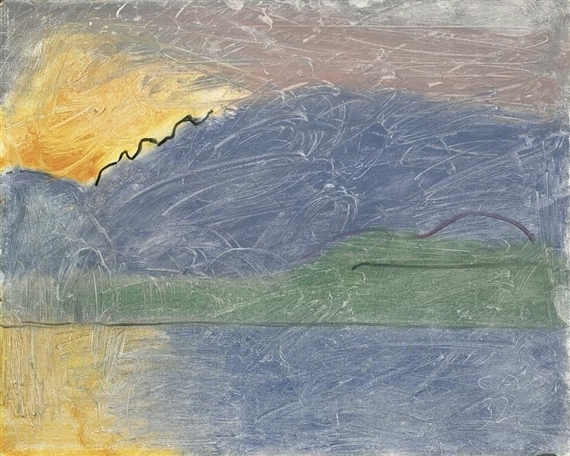 At the very top of the painting, the blue is interrupted by the moon itself, a small yellowish orb. We have all seen nights like this, where the eerie indigo light seems to spread across everything we see. 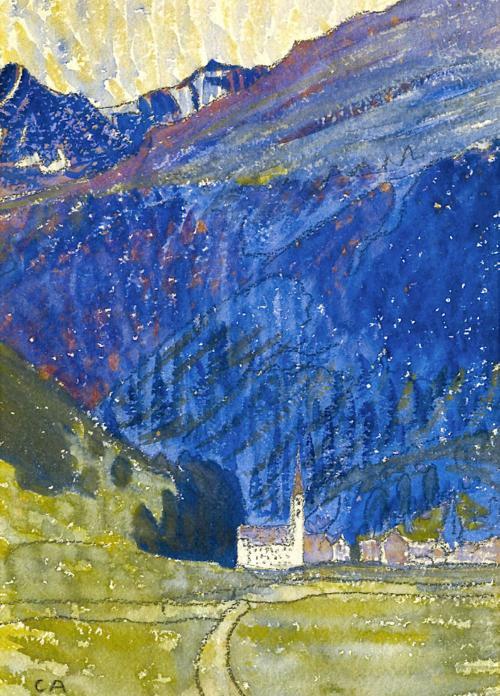 Amiet captured this feeling and portrayed such an indigo night with great depth and insight.